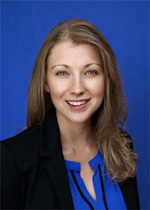 Erin E. Kempe, DO - Colorado Allergy & Asthma Centers, P.C. Dr. Erin Kempe joined Colorado Allergy and Asthma Centers in 2016. She is board certified by the American Board of Allergy and Immunology. Dr. Kempe received her bachelor’s degree in Biology from Temple University in Philadelphia, PA. She completed medical school at the Lake Erie College of Osteopathic Medicine in Erie, PA. She then moved to Portland, ME to complete a residency in pediatrics at Maine Medical Center. She completed allergy and immunology fellowship training in Columbus, OH at The Ohio State University Wexner Medical Center and Nationwide Children’s Hospital. She remained on faculty at Nationwide Children’s Hospital for one year after fellowship. Dr. Kempe has participated in a variety of clinical research projects, covering topics including inpatient allergy and immunology consultations, bathing practices in atopic dermatitis, and appropriate use of specific IgE testing in food allergy. She is a member of several national medical societies. Dr. Kempe is passionate about maintaining strong relationships with her patients, and believes that that patient and the physician are a team when it comes to choosing the right treatment for each individual. She believes that the first step to healing is understanding your symptoms, and works hard to ensure her patients understand the “why” behind each part of their treatment. She lives in Fort Collins with her husband. She enjoys running, hiking, backpacking, and also loves cooking with new and local ingredients.